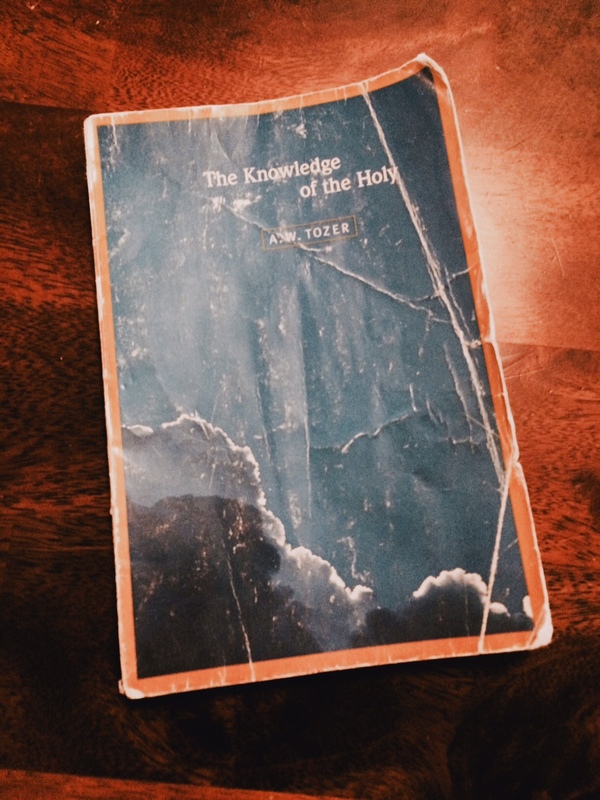 My wife’s copy of “The Knowledge of the Holy.” It was already kind of in bad condition. Our series made it worse (err…more loved). If you’ve been following along, we just finished a 23-day series reading through A.W. Tozer’s book, “The Knowledge of the Holy.” I mentioned in the first follow up post that several readers wrote in during the last few days of the series with some comments that I thought were helpful follow ups to the journey we went on. My hope to day is to highlight a few of those comments that readers might not have seen if they aren’t “into” reading the comment section. I love this comment and I think one of my mistakes I made as I did this series was I didn’t give a day to the preface. It was great and if you haven’t read it and get a chance to, you should go back and do it. Also, I know that the idea expressed here, that God can be known only as we quiet our hearts is true to Tozer’s experience (as well as Scripture) because Tozer was known for being a lover of the mystic writers (he quotes them a number of times in the book) and for having developed his own discipline of waiting on the Lord. Next up is fellow blogger David Bolton who wrote in: “During this time I was also able to listen to the audiobook, A Passion for God – The Spiritual Journey of A.W. Tozer by Lyle Dorsett. This was a great background read to this series. I would recommend it to anyone who would like to know more about this profoundly spiritual, yet still very human, modern-day prophet.” If you’re interested in following up with David’s suggestion, you can find A Passion for God by clicking on the link. There were also a lot of good comments by others who shared their thoughts along the way. Feel free to look through the series and discover what others were saying. Tomorrow I’ll spend some time talking about how the series changed our readership a bit and try an exercise to get to know some of our new readers.